MASTERCLASS: Municipal Bonds - April 2019 | Asset TV U.S.
JR Rieger: Welcome to Asset TV. 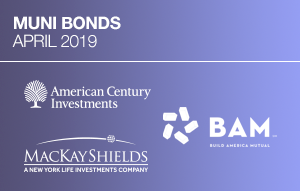 Municipal bonds have been in high demand generating positive returns so far in 2019. What opportunities and challenges are ahead? I'm JR Rieger and joining us today are three experts in the municipal bond arena. Steven Permut, Senior Vice President and Senior Portfolio Manager at American Century Investments, Grant Dewey, head of Municipal Capital Markets at build America Mutual, and David Dowden, Managing Director and Portfolio Manager at MacKay Municipal Managers. This is Asset TV's Municipal Bond Masterclass. JR Rieger: Guys, the municipal bond market has been heavily driven by technicals, but it's doing quite well as we go into 2019. Can we talk about the technicals that are driving the marketplace? Grant Dewey: I think it will be hard for us to have much of a differing opinion on this, but I've seen the technicals from November of last year through the present have just been extremely favorable. You got fund flows, you got the Fed now on hold, and net negative supply received still about $2 billion a month in net negative supply. It really is to have driven rates to lows, credit spreads, to their [tights 00:01:24]. It's really a very powerful thing. David Dowden: I agree. I think that certainly part of it too is that layered on top of that is the transition we've been seeing in the market as a result of tax reform. The pulling back of the PNC insurers, the expectation for the life insurers coming in on the longer in the market, and now this development of more issuance in the taxable side, taxable munis and the strong demand that we're seeing for those as well as just another source of, or access point for the capital markets for many insurers. JR Rieger: Steve, California is a high tax state. Steven Permut: Yeah. I think that's a great lead-in to ... we're only less than three weeks away from April 15 and tax time, and the tax Reform Act of 2017 had some big impacts for the muni market. One of the biggest being that there was a cap of $10,000 placed on the SALT or the state and local taxes, which impacts everyone from high tax states like New York, New Jersey, California. Not only are income taxes but property taxes are also capped at that 10,000. That's been, in our view, a real driver to the demand side of the muni equation. That combined with some of the other factors that the panels mentioned in terms of low supply and rates coming down has been just a great first quarter for munis. JR Rieger: Yeah. We've been on a relatively low supply flow for a while, now we're all of a sudden, this week we saw some interesting supply, I would say, with Illinois, Chicago and the state of Connecticut coming to market. Can you guys talk about how that might impact the market going forward? 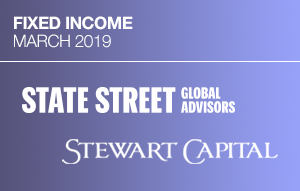 Steven Permut: Our view is still that we're going to be in a net negative period for all of 2019, so that demand which is fund flows have been over $21 billion year-to-date, which is a record since records have been kept on this back to the early 90s. That along with even a small pickup this week but supply is going to remain muted. We have to remember also that advancer funding’s were taken out of the market because of the tax reform bill in 2017. We continue to believe that throughout this entire year we're going to see a net negative in terms of supply and that's going to result in very strong technicals for the muni market. Grant Dewey: Yeah. I still think we're seeing, ratios have come in a bit especially in the longer end, but they're still within the range, historical range of ratios, so it's still an attractive asset class where you continue to see non-traditional buyers and now you've got $10 trillion or whatever the number of negative yielding global debt, which is about 20% of that market. When you see Chicago's coming in at sixes at a discount, I would think the demand for yield intensifies and so all those deals did very well. David Dowden: We also think, I'm sorry. We also think about surprises and certainly, from our perspective, we think one surprise could be that issuance does actually start to pick up as we get through the year. There are a number compelling arguments for that. 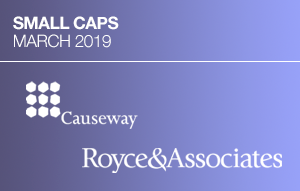 Certainly, the loss of advancer funding’s took supply out of the market, but we know from our analysts in DC, there have already been bills proposed with language to basically bring that back in will remain to be seen. We also believe that there is going to be a strong motivation on the part of governors in the many states where they've basically gotten to themselves in a good financial position to start spending some money again, start raising capital, putting the austerity programs they've had in place to the sidelines. Right now, we're not seeing it. Issuance is light but certainly that could be a surprise, and I think it would be healthy for the market if we had it. JR Rieger: The infrastructure needs are still there and still growing, so you'd expect some supply at some point in time. Steven Permut: I would just add on to that, and it's a little bit out in the future, but I do think we have to recognize that on the demand side, we are really entering some unknown political times. Without getting into too heavy a political discussion, we are coming into an election in 2020 and there's a real progressive movement. If you look at what's happened in Europe, progressive movements have typically resulted in higher tax rates. When we look back at what tax rates were pre-Ronald Reagan, the max bracket was over 70%. While we're not anticipating that, but I do believe the advisor and the customer needs to consider that we are at a historical low in terms of federal tax rates and that while supply probably will pick up because of the great infrastructure needs that we have, the demand could also pick up along with that as people really flock to what's going to be one of the last true tax exemption features in the tax code that we have. JR Rieger: You have mentioned the national political over cloud that's over there in the muni market, it's a positive one because of pressure on taxes or tax rates? But how about at the state level? Is there a willingness by the governors to correct things in their fiscal approaches and borrow money for infrastructure? Are we seeing that still lag? David Dowden: I think it's a mixed bag. I think, if we look across the country, investors do well by looking at the notion of having good governance, the concepts in the corporate bond world of looking at management teams and are they doing the right job, a number of states have moved in the right direction and are writing themselves, but at the same time, there are some distinctly different approaches that have not worked out that well. In some of the states on the coast, more in the East Coast, we see states that probably should be trading wider but the sheer level of demand for the bonds is keeping their spreads pretty tight at this point. JR Rieger: I'm going to guess that you're talking about New Jersey perhaps and Connecticut. Those would be the states that are top of mind. Grant Dewey: Yeah. There's more and more competition for residency I'd say these days, and so there's more pressure on New York and some of these higher tax states to do things that don't increase the tax burden. While the bonds in those states are trading at premiums because of the high tax, it's also going to create, I think, potential situation where ... obviously tax revenue depends on very stable property values, and so I think potentially you have two dynamics going on where you could get some credit weakness in the states where you see the biggest premiums being paid. 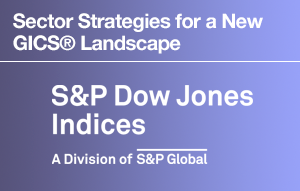 JR Rieger: Before we go too deep on the states, we take a step back a little bit and compare our investment grade munis to alternatives, for example, corporates or US treasuries, or even dividend investing like the S&P 500 dividend yield. To me, when I looked at the curve, it seems munis are a relatively rich on the short-end and show more attractiveness more in a later end of the belly and the longer end of the curve. What are the dynamics there? Steven Permut: Yeah, I would agree with that. If you look at the ratio in the 10-year, which is right around 78% and the 30-year ratio has come down recently, but it was close to a hundred percent, now it's in the low 90s. 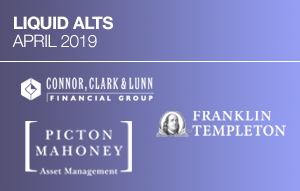 It shows that munis have outperformed other asset class for the first quarter of 2019. On a relative basis, munis look rich to where they've been in recent memory, but I think when you look at some of the dynamics of the muni in terms of very low default rates, high recovery rates, and we're all very aware that a triple B muni is three times less likely default than a triple B corporate. The dynamics and the straints that we have known for so many years in the muni market, I think, are just starting to really be recognized now. 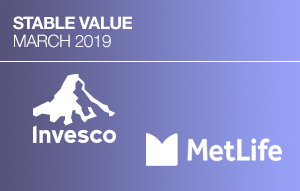 For many years, in terms of trading value, they were trading too cheap relative to other asset classes when we look at the strains that we know about in the muni space. David Dowden: I think it's an interesting dynamic when you think about the decisions that a municipal government manager, governor or mayor, will make versus someone who is a head of a corporation. In a corporate setting, you have a capital structure that's not just bonds, it's equity. Most of their decisions are very equity-oriented. If you look at the level of debt today in the corporate bond market, just the triple B component of that debt is greater than the total amount of debt outstanding in 2008. We've seen this massive ballooning in corporate financing. What we're hearing is that for a lot of investors who would be in our parlance of non-traditional buyer of municipal bonds, they're looking at ... they've been along the way willing to acquire more and more corporate debt to pick up income, but they're getting to the point now where they're concerned about this excessive level of lower-rated debt. I think they look to the muni market as a real alternative to offset that risk. JR Rieger: Some of that investing has been non-North America investing. We're seeing now investors come in from around the world, driving that is interest rates or other aspects? Steven Permut: I think it's a combination of interest rates. It's the capital charges that many international banking associations view munis in some cases to be equal to treasuries in terms of credit quality and thus the capital charge is very low. We have seen that on and off for the last few years, both Asian and European buyers are coming into by munis and recognizing it as a place and an asset class to be despite they don't have a need for the tax exemption that the domestic buyer has. JR Rieger: They're overcoming the cost of the doing their currency swap as well. David Dowden: Sometimes. Right now, those hedging costs have gotten pretty excessive again. Steven Permut: We've got a lot going on the muni market and the bond markets in general. What are the sectors that are potential opportunities and what sectors are areas for people to think about as avoiding? 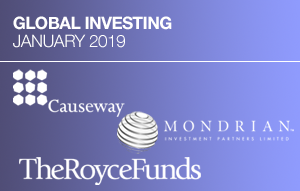 David Dowden: From our perspective, we think that the last number of years we've been strong proponents of being invested in the revenue bond sectors more than GOs. We looked at the host of different problem credits out there, Detroit, Illinois as examples of what would cause the average muni investor to shade away from general obligation debt. We're at a point now where we think that if we are an economy that's moving sideways or even starts to slip a bit, investors will look once again at the solid foundation especially at the local level of property taxes as a supporting security for those bonds. We're looking at a market where we think that it starts to go back into GOs. David Dowden: Right across [crosstalk 00:13:02]. Steven Permut: I would agree with that. We are underweight in all of our strategy state GOs for a couple reasons. One, they are trading on a relative value fairly rich, and in addition to that we feel we're at the top of the cycle here. The economic cycle has been very strong for the last 10 years. States are coming into this time period in strong financial position, but we know that typically states are one of the first to recognize and feel the impact of recessionary pressures. We are underweight state GOs in in all of our strategies, and we have an overweight to revenue bonds. Steven Permut: Essential service revenue bonds are very, for the most part, high quality, we're talking water, sewer, electric, very high-quality. Some of the other revenue bonds like healthcare, charter schools, when we move into the high-yield space, while those don't have the credit quality that we know in revenue bonds in general, they do present a few more opportunities, and it does allow us to put some selection in there that can benefit when we can look at some of the lower rated credits. It really runs the gamut but revenue in general is where we believe the value is. JR Rieger: Even though there's tighter spreads in some of these sectors like healthcare, charter school, I'm going to throw tobacco, there could be an opportunity to pick up yield in those sectors? Steven Permut: There are just so few opportunities left in the market today that you need to look really at all the sectors to find opportunities. David Dowden: I think what's going to be interesting is seeing what happens with the restructuring of Puerto Rico credits. We've already had COFINAs done, the market readily absorbed that, the bonds traded well. But as we progress, we know that the total amount of debt that will come back into the market as they take out the defaulted bonds is going to really exceed the appetite for the high-yield muni funds. As that occurs, we believe there's going to be some crowding out of traditional high-yield, there will be some room made for these bonds probably put some pressure on the more liquid part of the high-yield market including tobacco bonds, which we believe is going to create a real opportunity to basically layer back in. We're neutral on high-yield right now, but we could easily see by the end of this year, maybe into the first quarter of next year, taking a position where we think an overweight is justified. Grant Dewey: Clearly, the high-yield fund flows have helped mitigate a dynamic that we all thought would happen, which is when you throw $12 billion of COFINAs into the market, you're going to see some selling as is rebalancing. You've got hedge funds that are looking for a graceful exit, and they've been able to achieve that. Again, that's technical and that can change, if you see ... I think flows stabilize or even turn negative because of some disruption in the market. I think we have a lot of trouble as more Puerto Rico debt comes in the market absorbing that. You would see, I think, some selling of these A-rated healthcare sectors that type of thing for any customers that wanted to add Puerto Rico, so it puts pressure, I think, generally on the market. Steven Permut: We did see that the 4th quarter of last year when, really, there was nothing fundamentally changed in the muni market but we saw selloff in equities, we saw selloff in corporate high-yield and munis followed along. Muni high-yield spreads in the 4th quarter widened out fairly ... yeah, tobacco and other and healthcare and hospitals, all widened out really for no reason other than technically driven in terms of fund flows. But then once that turned, it bounced back fairly strongly here in the 1st quarter. JR Rieger: There was a tactical opportunity and then it gets absorbed back into the market. JR Rieger: Investment grade, high-yield, it's a push-me-pull-you thing for me when I look at what I own and where my risk is relative to where I want it to be. Can you talk about the investment-grade decision or high-yield investment decision? How should IRAs think of the risks of investment-grade versus high-yield today? Grant Dewey: I think you just need to be more cautious, more selective. Generally, in this rate environment where ... as demand for yield intensifies, you get legal structures that are maybe not quite as tight. You get confidence that are a little bit more relaxed or maybe not as creditor friendly. I think that you just need to ... there's still lots of opportunities, but I just think that you need to be pretty careful because there is definitely a general rally amongst all kind of spread and high-yield type products. The muni market is a good place to be able to ... there's a lot of different sectors, a lot of different insurers. Grant Dewey: The revenue bonds, [inaudible 00:18:10] insurers, essentially revenue and GO bonds, and within those sectors you've got special revenues and you have secure bonds, and you have the GO sector, which to us is not quite as desirable on our rating scale as like a special revenue bond. But even in special revenue bonds, you can get ... there's a decision recently that where the general feeling was, that a general understanding was, that they pay all the way through bankruptcy and that belief got overturned just very recently. There's a lot of pitfalls and that's where professional managers are probably the place to make. David Dowden: I think that's exactly right. I think at the end of the day advisors when it comes to their asset allocation to high-yield muni are going to be looking for guidance from professional management. The question then becomes, what type of bias do you want in that manager> I think in today's high-yield market, what you want to be is with a manager that is much more relative value, total return oriented, not just a manager looking to punch out the highest distribution rate they can on their product, because in that latter case that often means retaking on a lot of risks that are probably not really compensating you for in the bonds. Steven Permut: I would just add, I think, for the advisor who's buying individual bonds for their clients, I would recommend that they not buy anything below triple B, because there really is a lot of idiosyncratic risks and it's really a very specialized market so that they do use professional managers or they use a diversified ETF in the high-yield space, so that they're getting professional management and they're also getting diversification, and if they are buying individual bonds they only by higher quality bonds, probably in the AA or single-A category in that respect, so that they are not having to answer to their clients' concerns about a double B or a triple B muni that's having trouble. They can save that for their equity discussions. For their muni discussions, I think their clients want to sleep well at night and they want the security and the preservation of capital, and for that reason, the probably should be sticking with higher quality municipals if they're selecting on their own, and if they want to have a small slice maybe 20% or 30% in high-yield munis, that they leave it to a professional to manage that slice for them. Grant Dewey: Yeah. I think historically it's no secret that retail has tended towards insurer bonds. Again, handing that credit selection to the analyst at an insurance company. That helps with, you still probably want to keep the triple B to A underlying and then you put the insurance on there because Steve mentioned there's a huge amount of like idiosyncratic risk in our market, so you've got no Illinois sales tax deal that gets downgraded just due to a methodology change. No change in the underlying fundamental, just methodology change where they ... between the GO and sales task rep, they don't want Morgan to recognize this. Grant Dewey: It gets downgraded from AA minus and just weeks before had been reconfirmed a AA minus, get downgraded to triple B. Just even the ratings alone are a difficult thing to go by. Today, Fitch Sacramento, US league, also get downgraded recently by S&P from AA minus down into triple B. Fitch maintain AAA ratings because of the strength of the of the special revenue pledge and so they just put out a piece today saying that they're going to have to relook at that. I would not be shocked to see them drop ratings on some of the college school districts by multiple notches. Grant Dewey: There's the advance for an insurer is that we don't really look at that rating change as a ... on the Illinois sales tax, we actually ensure that deal while at it had the AA minus rating. We were pretty sure it was going to get downgraded but we look at it a little bit less like a total return portfolio manager might look at it, which is, you're trying to benchmark, you're trying to have some price stability, and if you get rating changes like that it can wreak short-term havoc on a portfolio whereas, we're marrying the credit for 30 years, we don't think that the [inaudible 00:22:47] sales tax or for Sacramento is going to change kind of the probability of default in our minds. JR Rieger: Retail, when they couldn't find insured bonds at a good price that was a little bond session looking at. Grant Dewey: I think so. I think that there are a lot of instances where we're charging on A-rated GO. We're charging 3 or 4 or 5 basis points for ... it's a very asymmetrical risk if you're ... if that bond continues to be a good credit or even gets upgraded, there's a chance that a relative return basis. You've given up a few dollars of return, but there's also a chance that you can get hit with ... It was only 2014 the Chicago's A+ rated stable outlook, the cost of insurance back then was 10 basis points. We wish we hadn't done that, I think we didn't do much there. Now you look at Chicago, it's going to be a long term, situations going to have noise, but I just think that there's very asymmetrical risk that you can hedge against with 5 basis points of insurance. Grant Dewey: I'll add another thing, which is ... I think there's been a big shift in sentiment around the use of insurance. This has been my responsibility at [BAMPam 00:24:13]. In terms of, I think, institutional, very sophisticated, large investors, I think, are also using bond insurance as a portfolio management tool as a tactical way to, on a large exposure, to maybe ensure a small portion that. We have that on a large Cal school district name a few weeks ago. It's maybe a way ... in Connecticut GO, which price today ... if you have a market waiting to Connecticut, it's a large deal. Grant Dewey: Maybe you want to throw insurance on there for what I think is relatively inexpensive price, and maybe it allows you to overweight that name a little bit more than you would normally. Even on new names I think the historical sense is I would never buy anything insured if I wouldn't own it I don't insure it. I think generally that's a good approach. I think in a market where star for yield and maybe you're having some challenges in a state fund or something diversifying, I think, taking a name and adding insurance to it should be a nice way to diversify. David Dowden: We think it's a compelling opportunity to the extent we've actually launched an all-insured ETF to that point. We believe that the experience that investors have had over the last number of years, I call it the haves and the have-nots. Those that had insurance on their bonds and the ones that didn't on certain credits that ran into trouble, distinct outcomes in terms of the differences. We believe that investors should look at insurance as an outsourcing of your research operation. it's where all the ... the credit work is going to be done, it brings liquidity to the bonds, it allows for price discovery, meaning that it's easier to know what that bond is worth. We're not going to probably get up back to the same, sorry, the market share that we had in the past in 2006, but we think we certainly are going to see market share continue to grow from here. We think it's certainly going to be a lasting part of the municipal bond market. JR Rieger: It's becoming part of a tool toolbox for credit selection, you don't have to do as much as a retail investor because of your credit work you've got a backstop with a [BAM 00:26:39]. Grant Dewey: [Truthfully 00:26:40], our market has been growing and I don't think it's because direct retail investing has grown. I really think there is more professional management with SMAs and mutual funds. If you get a rating violation and you're on your performance system, I think a lot of times it's you sell that bond and you bring in a bond that complies and we're getting a little bit more of as we're able to advertise more of the credits and Q subs that will ensure, that is another option rather than swapping out of 100 or 200 bonds to get AA on there, again, for generally less than 10 basis points. Steven Permut: JR, something I hear when I talk to advisors every once in a while, is they tell me that the last thing they want to happen is on a Friday afternoon they had a call from one of their clients, Mrs. Smith, who has just gotten her monthly statement and she's wondering either two things. One, why does she own a bond that's rated single B or triple C or whatever it might be, or two, why did the value go down. Even though Mrs. Smith has no intention of selling it, she is not going to realize that loss and she's not probably going to be impacted by that rating. I just hear from so many advisors that they don't want to have to answer these kinds of questions in their muni portfolio. Steven Permut: They rather spend their time answering questions about asset allocation, about wealth preservation, about long-term planning or about individual stocks that maybe they own. I think that really goes to the benefit of somehow insulating the portfolio from the Mrs. Smith's call on Friday afternoon and that comes to either bond insurance, professional management, diversification, not buying individual bonds that you really don't know what the underlying credit, the advisor doesn't know and the advisor is going to potentially get hit by something that really doesn't benefit them at all having to answer to these kinds of questions. Grant Dewey: I think that's right. We're selling rating stability, pricing stability, not so much default fall protection if you think the bond's going to default. Your best hedge is to sell it. Some think the Illinois sales tax example, a multiple notch downgrade, it didn't concern us because we think we're looking at the credit properly, but as a retail investor you're going to spend 30 minutes on the phone explaining why the bond got downgraded from AA- to BBB. As a professional manager, you're probably going to have the same thought whether it's that credit or similar credit that the likelihood of non-payment is exactly what it was before. It's really that rating and price stability. JR Rieger: Munis are still a mom-and-pop investment. It's still heavily driven by retail investor sentiment. What happens if, I know making forecasts is no fun for anybody, but when headlines continue to be negative, Illinois pension, Chicago, the split ratings really would crawl, keeping it up at A but the others are much lower. You got the New Jersey pensions shortfall, you got Connecticut losing employees to another state, you got people moving out of Illinois because of taxation and jobs, all that could bring negative sentiment, if you will. Is that keeping you up at night? Steven Permut: Not really. I think what's interesting is that to me the retail nature of the muni market is what gives us opportunities. Unlike other asset classes, which are more institutionally driven, munis just as you said, it's mom-and-pop and they typically all going in the door and out the door at the same time, and that creates inefficiencies. That allows it to either be oversold or overbought at the same time. I think to the advisor, to me those are opportunities to take advantage of as opposed to trying to get on that train and get out the door at the same time. Steven Permut: If we look at history would indicate that default rates are very low, recovery rates are high, and there always going to be these whether they be political risks, natural disaster risks and other geographic risks, demographic risks, these are always going to be there and we can always point to them. Unlike other asset classes, they're in the newspaper or now other media sources all the time so that people become more concerned than they would be in another asset class. Steven Permut: When you look at the fundamentals of the muni market and the fundamentals of what drives credit quality, munis, in my view, are second only to US treasuries in terms of credit quality. Now, we're always going to have these one offs like you mentioned some of them, but I think a lot of times those one offs, cloud the overall strength of the muni market and I would ... my recommendation would be when we're in these periods of everyone trying to get out the door at the same time, if the advisor does the opposite, they'll look very good long-term. It's interesting, if you look at the last 20 years there have been a couple of years in which we've had negative total returns on the S&P muni bond index, the intermediate index. The next year was always a very big up year, so that if we go into a year in which you have -2%, -3%, which communities is a fairly big move unlike equities, the next year is typically a very, very strong year. My thought would be for the advisor to take advantage of the inefficiencies as opposed to doing what everyone else is doing. JR Rieger: Natural disasters have been in the news quite a bit. Take California, we've got flooding, we've got fires, and some cases nearly the whole community has been impacted by these unfortunate events. Grant Dewey: Yeah, and price is in Texas modes or in the Houston area, I think they dropped altogether over in California. I think professional managers can get at where the flood zones plans are and what the higher risk of fire. We're showing bids daily on multiple California credits, and so we obviously do a lot of work around this disaster type scenario. An A-rated Cal name they're not all created equal. David Dowden: I think this also speaks to the issue of the difficulty for an advisor. When 60% of the market came with an insurance, it was much easier to build laddered portfolios or whatever structure they wanted. In today's market, that's more difficult. 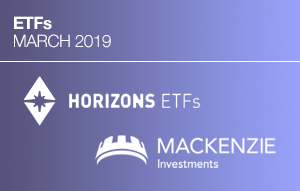 These types of events that occur, which one can't really anticipate, really speak to the need for thorough diversification within a portfolio. When you look at the typical accumulation of individual bonds for a client, they're typically not that well-diversified. I think it really points to being part of more of a pulled vehicle solution or managed solution where the diversification is put in place to protect the investors. JR Rieger: It's very difficult to buy a portfolio of diversified municipal bonds as a retail investor. I've been freeing my handcuffs now for a year and now I'm allowed to build my own portfolio. Even though, I think I know where I need to be, very hard to find the bonds. Really there is not just the bonds, it's finding them at the right price that that'll work. Grant Dewey: I think if you're in New Jersey, there are some states that are more difficult. New Jersey, I think, is a very difficult state. There are ... there's plenty of healthcare issues, and then there's a lot of agency credits where they rely on state funding, and school districts and highway authorities, and so they all there tend to be correlated risk amongst what our very distinct credits. If you live in ... I lived in Connecticut and very difficult to put a portfolio of Connecticut bonds that aren't tied to the state rating. Even local GOs, obviously, have connections. There's a correlated risk, for sure, and high tax states are where it exists. JR Rieger: To me, the discussion is how do you follow all these credits? As an individual, it's very difficult because you got to be able to look at the documents and understand all the information that's coming at you, for an RIA that's grows exponentially, because now you have a much bigger pool of bonds to follow. How do you guys do all that credit work to make sure the bonds are the right fit for your portfolios? Steven Permut: I'd say that you need a staff of people to do it and you need an experienced staff of people to do it. We have a number of people who do this and they have many years of experience so they know what to look for. It's something that you really need to have a group of people that are knowledgeable in the specific sector that they're following, whether it be hospitals or state GOs. They need to look at things in a comparative basis so they're looking at other credits surrounding it and see how those look. I think it's really important to know that muni credit quality is very specific to munis. It's not like corporate analysis and it's not like sovereign analysis. Steven Permut: I would make the case that the advisor can't do the research on their own and trying to do it is going to be more problems than the benefits. I would second what the panel has said in general that really you need to either look for diversified vehicles that can give you a basket of assets in the muni space that will give you performance that's relative to that basket, or you look for professional managers who are hopefully adding some alpha over that basket. Obviously, fees are very important. We all know that fees have come under a lot of pressure recently. Clearly, I think the advisor should look and see what the fee structure is for the various products they're looking at and being sure that it's competitive within the industry. David Dowden: To amplify Steve's point about the differentiation of looking at municipal bonds, there's the political component, which so many times comes into play especially when you start to run into challenging situations. Think the threat of bankruptcy for Hartford Connecticut, that's very unique to the muni market and you have to have the experience there that you've gone through that before you have an appreciation for the law, the regulatory state and even just the differentiation of or the appreciation for the fact that the power that state governments have relative to the federal government. Those things, the history of that all comes into play when making these decisions. Grant Dewey: You might even have to write a check to a few lawyers along the way as an individual to help resolve something like that. Steven Permut: I would just add. I would agree and I'd just add that even very sophisticated buyers in other asset classes have had troubles and stumbled on munis. If you look at Puerto Rico when it was getting into trouble a few years ago, there were number of hedge funds that had their sovereign analyst looking at Puerto Rico and they came, they were comparing it to other Latin American credits and they came to the wrong conclusion on Puerto Rico. I think that even you can have very smart people that have done credit research in other sectors and other asset classes and they still don't understand munis. I think that really goes to show that you need a dedicated staff of muni professionals who've been in munis for a long time and know the ins and outs of what is a very specialized asset class. JR Rieger: Sorry, go ahead. Grant Dewey: Finally, while we're scaring retail investor, even if you read a POS and you do all your homework around a purchase, unless you're doing ongoing surveillance, unless you're logging onto [EMA 00:39:18], and you don't know about the asbestos problem in the school out in Wyoming or whatever, then it doesn't matter again unless you're surveilling the credit because if you look at it once and owned a muni for 20 years or which a lot of investors intend to do, there's a lot more than the initial analysis. Again, that's where these credit teams and even insurers are doing annual audits. Anytime there's any news around the credit we get too early, Hartford was a situation where the insurers got ... insurers really had most of the exposure there. I think Hartford used default, the threat of default almost as a strategy. Grant Dewey: They are far from insolvency but it got people to the table and it got a good result. The two primary insurers assured and BAM were there at the table. We had a big exposure and the result ... as a retail investor, you get a free ride on that rather than trying to put together ad hoc group. Steven Permut: I could tell you, JR, when I started my career in munis 35 years ago at Moody's, it wasn't uncommon to get an official statement for an Indiana or New York school district that was 10 pages, that was the whole OS. From that OS you could make a determination about the rating. Now I look at some of the analysts when I go to our printer and see them putting out thousand page OSs and think of that that's what an OS look, an official statement looks like today on a more complex credit. It just shows the change in the marketplace and how difficult it is for an advisor who is not embracing munis 100% of their time to get their arms around it. JR Rieger: I'd tell you, a hundred pages isn't going to make my weight test. I need to be able to read it pretty quickly. Things are changed and from a credit selection being very important in the municipal marketplace, there is less homogeny in the muni market than there is in corporates. Then, would you say they're making the right call on interest rates becomes also critical? I'm leading you down a path here because of the information that I read about active versus passive exposure to different asset classes. You imagine active portfolio managers should show some alpha over to the market and benchmark is supposed to represent the market. JR Rieger: When I read the stats about bond, active bond funds, whether they perform well versus an index over a period of time or not, it doesn't look very promising for a fixed income and active investors versus that raw data. When you pull out munis as an asset class, things begin to change. Muni active managers do better versus a benchmark than incorporates. Would you say would some of those drivers might be credit selection or there's other things going on? David Dowden: I think that the starting point is that the muni market is just highly inefficient. You've got 50,000 different individual issuers, there's 10,000 to 15,000 issues a year, a million individual securities. It doesn't have that homogenous structure like you see in treasuries or the limited number of issuers like you see in corporate. then you layer on the other side that 70% of our market roughly is invested in by individuals either directly or indirectly, and they tend to, as we've been discussing here, react on emotion versus having the information to make good decisions. David Dowden: As a result, relative value opportunities arise continually, which allows you to be active. I actually think that when you look at the rise of the ETFs and you see these passive ETFs in the muni market, it has to bring a question to your mind because the efficiency of the market just isn't quite there like you see in other asset classes. Steven Permut: I would agree. I think passive investing seems to work better in general for equities than it does for fixed income, and then probably works better in the fixed-income space for taxable securities that are more liquid, that are less idiosyncratic than it does for munis. Passive investing typically works well if you want to get very quick exposure to the asset class and you want to get into munis very quickly. We've seen some advisors who then, they get a new account and they want to put X percent into munis, they'll buy a passive and then I'll slowly take the money out of the passive and put it into active managers as they go through the selection process. JR Rieger: A tool in a toolbox really. Immediacy or accessibility is good for ETFs, and then perhaps ETF is a tool, may not always work or be a longer-term tool for fixed-income investors who are going to take advantage of those. Grant Dewey: You sell bonds at a loss in December. You can't buy it back for the [Wassail 00:44:44] rule. It might make sense to go into an ETF for that period of time. I do think it's a good tool, and I know why they exist. They have been getting pretty significant inflows. David Dowden: I think what attracts people are the fees. They have low fees and unfortunately, we've been in a world for a while where it's been hammered home with investors that they should look for the lowest fee structure. In many markets, if it's a commoditized product that makes sense, but I think in the municipal bond market where the capacity for active management is there and the proof is in the pudding as it were for performance that you get what you pay for. I think that's a part of it. I think that's been a big driver of the growth. JR Rieger: The fees were added for active manage funds, they're a little bit little bit higher than the ETFs. I think it's 2.5 times basically the average. Over the long-term, performance persistence, and active should outweigh a decision about fees. Is that the point of view? Steven Permut: I would agree that you have to look at results net of fees. If the manager you're selecting is able to generate alpha net of fees relative to a passive investment, it makes a lot more sense. JR Rieger: Put them on equal playing field. JR Rieger: By doing that. We've talked a little bit about active and passive and tools in a toolbox. We also touched upon natural disasters, a little bit on governance, which ... as we're seeing in the bond markets, generally, we're seeing the ESG drive for investing, a little bit of a green bond market in the municipal world with the climate bond initiative adding municipals to their designation through green bonds, is ESG on the top your minds have as product providers? 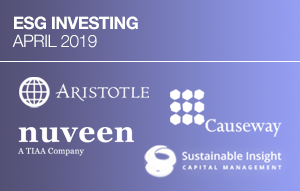 Steven Permut: I think ESG and munis is very, very interesting because it's my belief that the vast majority of municipal bonds are ESG and are socially responsible and are green bonds without any designation. What really can be more socially responsible than a school building or a library or clean water or things of that nature. Munis, I think, have been ESG before the term was even coined. That being said, I think that we still continue to see interest in this classification and I think we're probably going to see more and more interest. My understanding is Europe is very driven by ESG and socially responsible designations. We'll see it here to a greater degree and I'm sure we'll see it here in municipal bonds to a greater degree, and we're seeing more designations now on new issues that way. I take it with a little bit of a grain of salt just because to me the vast majority of municipal bonds are inherently ESG. JR Rieger: Doing well by investing well. That seems smart. Grant Dewey: We agree that the market has a large and a green component to it, but we're finding that the demand was outstripping ... I think there's 25 billion now of tax-exempt munis that are [inaudible 00:48:15] but a climate bond initiative they're designated as green bond, some are self-labeled. There was a disconnect between we think the demand for that product and I think it will only be more so as there's a wealth transfer to younger generations. we launched this green star back in October. It was really designed to help, I think, grow the market to a large degree because without the verification process or approved verifier of the climate bonds initiative, but without more bonds that are labeled that way and managers will have different ideas of what's green, we think that there should be a very defined set of criteria, which we tweet on our website, that will help investors decide whether it's enough green for them or not. I think that issuers have been reluctant to get their bonds certified because there's not really a premium yet in the marketplace. Grant Dewey: There is a cost if you want to go up. Generally, we're offering the green star if you qualify free of cost. it's just part of our underwriting process that we were doing anyway. It's been ... as long as the insurer agrees to ongoing disclosure to make sure the proceeds were used in a manner of which they said then we'll give it a green star. Again, we think eventually there will be a premium for bonds once the market gets a little bit more, a little bit less fragmented. one thing's for sure, that market is going to continue to grow. Internationally, they've already had a pretty explosive growth. Munis are a product where we want to bring more attention to it and a third star labeling is a good place to start. JR Rieger: That's more work on the issuer side, they have to disclose more now. Grant Dewey: Yup. Again, sometimes it's just a question of having them rather than a boilerplate disclosure. Actually, I give a little bit more detail around the use of proceeds that can sometimes be ... just explaining to them that their bond could qualify as a green bond is a good start. We haven't found ... we've done 24 transactions in the last few months. about $375 million. The issuer does need to sign this ongoing consent once a project is built up and running. That goes away, but it's important that ... I think the ongoing disclosure obviously is a big part of it. JR Rieger: We've got green. Now we've got social and we've got governance. On a governance side, I think the muni [NSMO 00:51:28] has been tracking how municipalities are governed. Am I mistaken? Steven Permut: Municipal governance is probably the most transparent governance of any asset class. It's all done in the open, it's all public, it's all for the public record. We may not always be happy with the governance, but it's ... we all know about it. It's very open and very transparent. JR Rieger: There also has to be a political will. You have, let's just pick on the state of New Jersey for fun. There has to be a political will to begin to reduce the pension deficit. David Dowden: This interpretive component of putting the ESG rankings on. We were committed to it ourselves, we're doing it and we're building out. Our research team is doing it on credits we're looking at and we're building out that process, but it's also one that's in development. The questions do circle around what makes good governance or what are the governance risks. I think in general at least this point, the muni market is there already. Largely, there are processes that ... what their role is in terms of why they come to the capital markets, what their looking to borrow money to do, how they run their governments, all of that is largely in place, those legal structures are in place. It's a very natural fit. I think that, in part, is why we found that non-traditional buyers, foreign investors specifically out of Europe can draw comfort owning municipal bonds. Grant Dewey: I think there's a lot more E in green bonds than there is at SNG. I think in terms of governance, Board of Directors and this other diverse group, it's at the issuance level, not so much ... the city of Chicago might have great diversity in governance, but it doesn't mean that everything they issue is going to qualify in the ESG space. I think that primarily what we've been labeling our energy efficiency upgrades, things like that, but we found again it's usually the environmental part of ESG that the munis from a strict interpretation, CBI, qualify. JR Rieger: Let's bring it all together as we wrap this up. We've talked about of natural disasters, we've talked about technical drivers of the municipal bond market, we've had a decent year so far in 2019 mostly because of technical drivers or the supply-demand imbalance. Now putting on the spot, what's the rest of 2019 look like? Steven Permut: I'll tell you. What gives me a little bit of pause is that what our outlook was for 2019 when we formulated in outlook in December has pretty much all happened in the first quarter. That being said, I think we will continue to see 2019 play out pretty much the way the first quarter has, so that if we look at returns the intermediate indices are up about 2.5%, 3%. We think that year-end intermediate high-quality bonds will be up somewhere in the neighborhood of 3% to 4%. We think we're going to continue to see the trends that have established themselves already continue. We think interest rates will stay low. It's really remarkable that we're at on the 10-year treasury right around 240 today or even through 240, where if you would ask people six months ago, I think most people would think we'd be closer to 3.25% or 3.50%, than we would 2% to 2.40%. Steven Permut: We think rates will stay, stay where they have been in this range. We don't see a recession in 2019 although we do see a slowing economy. We think the ... we think the tax bite will continue to become more severe that people will really recognize the impact of the loss of the SALT come April 15 and they get their returns from their account and they say, "Whooo! My effective rate's a lot higher than I thought it was." We think 2019 will continue to be a good year for munis. We think, really, when you look further out the need for munis and the reason for buying munis will continue to be very strong. We're very positive on the asset class. David Dowden: We're very positive as well, but we're certainly also looking at this year as being relatively difficult year. We came in with our market outlook saying that unlike many years where we have a 12 to 18-month outlook, this was a year where we felt there a lot of pivot points along the way where we could have events occur that would really be going to drive us in a different direction and therefore the flexibility to adjust to those was going to be more important than what we've seen in previous years. That being said, our expectation is that we see reasonable positive returns through the year. We are still very optimistic, as I said earlier, about the notion of a real opportunity toward year-end to increase the allocation to high yield again, and really layer some income back into portfolios. David Dowden: In between, if we're right about these pivot points as they hit that'll create enough volatility in our market where we think we have some real opportunities to capture relative value as well. We're pretty optimistic about it. JR Rieger: Build America Mutual? Grant Dewey: As these guys, we get paid to worry about credit. I think we could be entering a bit of an inflection point there of generally the latter stages of an economic expansion aren't great environments for credit spreads. I think that we're going through, again, this period of liquidity fueled market. I think that can at times can overshadow an underlying deterioration in economic fundamentals. Personally, I'm not a credit analyst. Personally, I think that we've seen a lot of good news. A few state GOs, I think there's one state GO on positive watch. Actually, two at Moody's and one on S&P. Grant Dewey: I think you have to play a little bit of defense. I think you have to pick your spots. I think there's still tons of opportunity and the message of idiosyncratic risk is very much there. You can have a ... I forget what year it was but a Meredith Whitney and you talk about this headline risk, she will come out and make a broad statement and there was never ever a better buying opportunity. Headlines and all that really just creates opportunities for the professional managers. I'm going to keep an eye, I think we could be at an inflection point. JR Rieger: Muni is my favorite asset class. They're still complex, they're still somewhat less liquid than corporates. They're credit sensitive and they need to have a professional management to help keep their risks to a minimum. Gentleman, it's been a great discussion, thank you so much for participating. David Dowden: Thank you, J.R.
Steven Permut: Thank you, J.R.
JR Rieger: Thank you for watching. Our experts today were Steven Permut, Senior Vice President and Senior Portfolio Manager at American Century Investments, Grant Dewey, Head of Municipal Capital Markets at Build America Mutual, and David Dowden, Managing Director and Portfolio Manager at MacKay Municipal Managers. This has been Asset TV's Municipal Bond Masterclass.